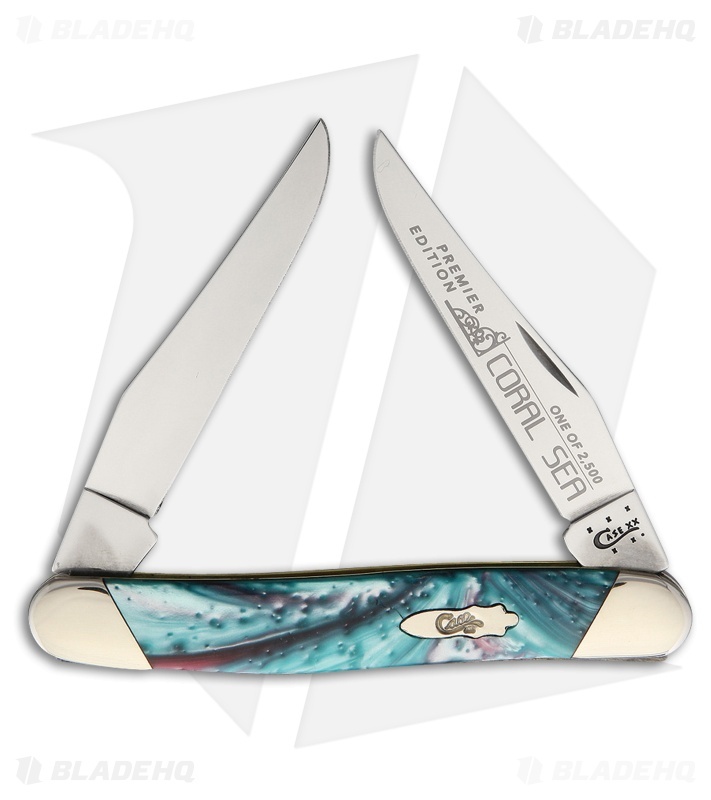 The Premier Edition Case Slanted Bolster Muskrat knife with Coral Sea Corelon scales is a fantastic addition to any collection. Tru-Sharp surgical stainless steel blades are etched with "Premier Edition, One of 2,500, Coral Sea." Coral Sea Corelon scales are a vivid swirl of blue and pink, making each knife unique. Polished nickel silver bolsters with brass liners complete this beautiful and unique knife.